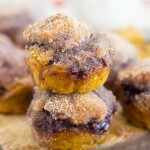 Cinnamon-sugar dusted pumpkin muffins, with a generous swirl of Nutella! 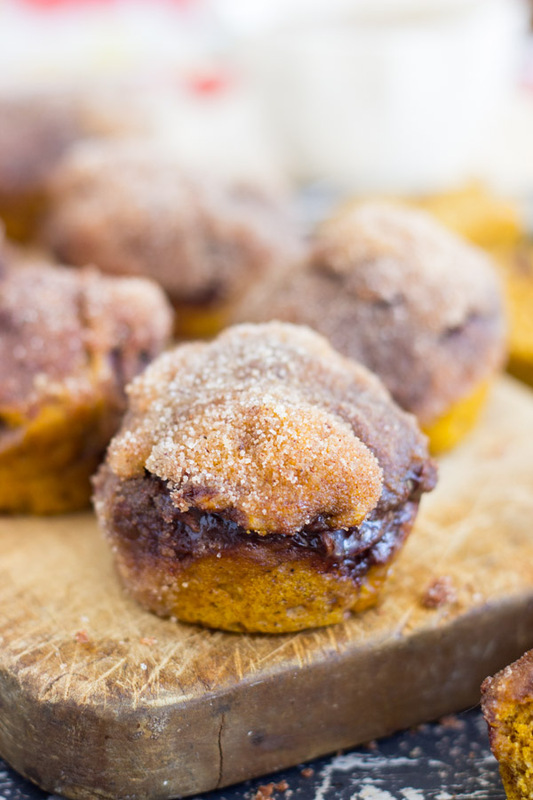 These Snickerdoodle Pumpkin Nutella Muffins are ready in under 30 minutes, start-to-finish. These muffins come together super fast, and here’s a surprise twist for you: they are low in sugar. I know you heard ‘Nutella’ and ‘Snickerdoodle’ and are probably thinking that I’m a liar, but really – the muffins themselves have only 2 tablespoons sugar in the batter for the whole batch. Okay, then there’s the cinnamon-sugar snickerdoodle coating, so there is that, but it’s just a dusting. It’s really not a lot. And I suppose the swirl of Nutella contains some of the sweet stuff, but that’s it. These really aren’t loaded with sugar. 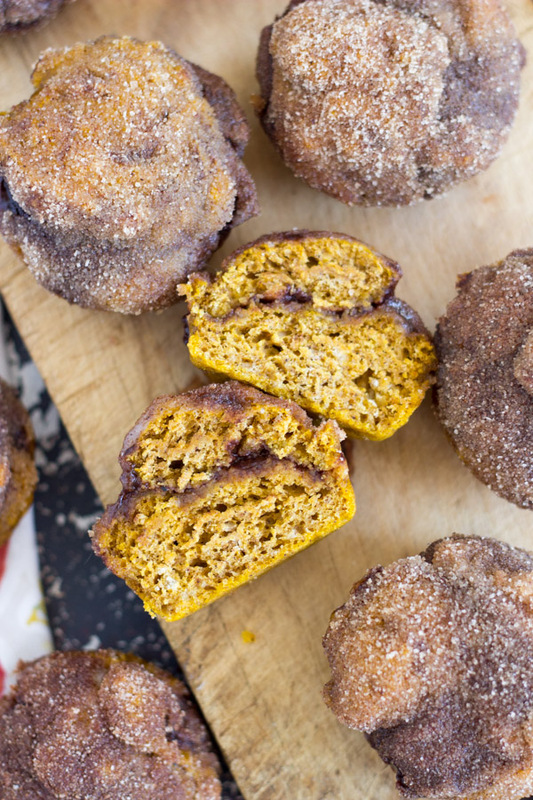 You can actually get away with ZERO sugar in the muffin batter, and you won’t miss it. 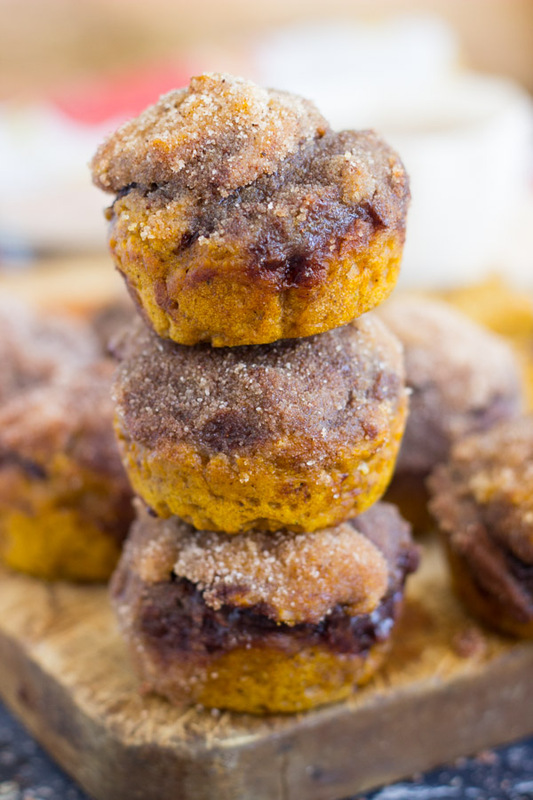 They don’t need a lot in the batter because the cinnamon-sugar coating and Nutella are sweet enough to carry the rest of the muffin. These are a great snack or breakfast for a person who wants something a little sweet, but doesn’t want to feel guilty about it = me. 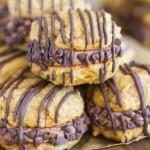 Alternatively, these are great for the person who isn’t a complete sweet-tooth because they’re not over-the-top with sugar. I have a lot of those people in my life – people that are not crazy sweet-tooths. What?? Why? Obviously, I’ve never understood it, but I have friends that never really crave desserts or sweets. It’s weird. This is a great recipe for that breed of person though. The muffin batter whips up quick, and you can make a complete batch of these in under 30 minutes, start-to-finish, and you don’t need a mixer! 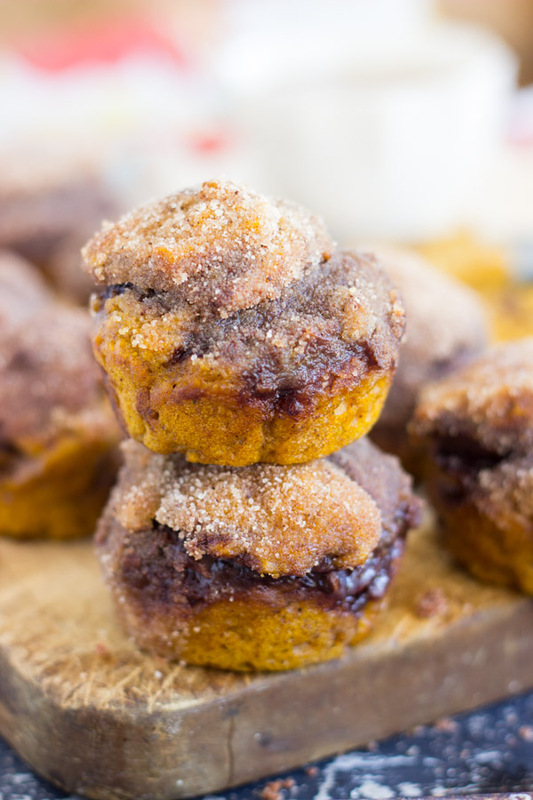 The combination of pumpkin and Nutella is one of the best there is, and you’ll die when you sink your teeth into a pumpkin muffin and meet a creamy swirl of melted Nutella! The cinnamon-sugar coating is sweet, spicy, and a little crunchy. 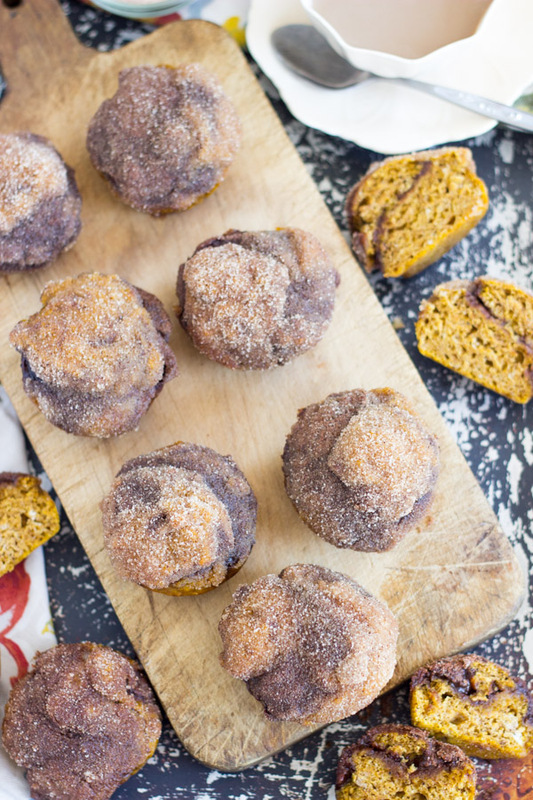 For being on the healthy-ish side, these muffins will blow you away! 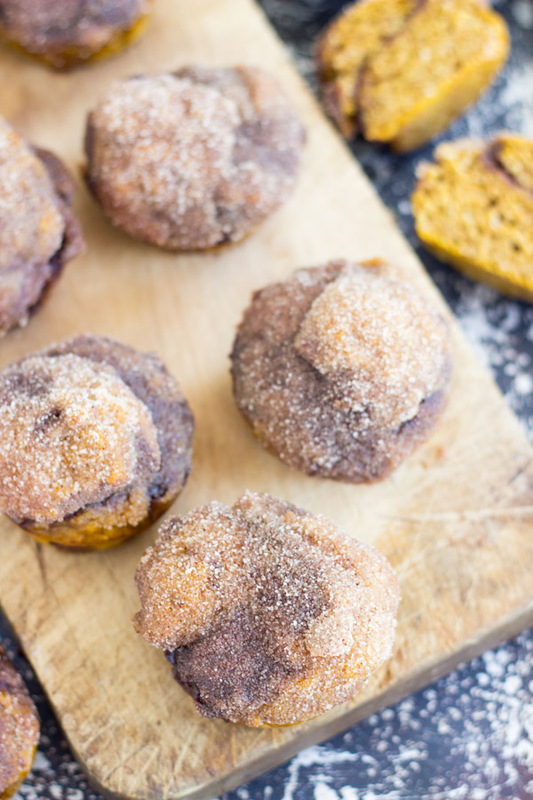 Cinnamon-sugar dusted pumpkin muffins, with a generous swirl of Nutella! These are ready in under 30 minutes, start-to-finish. 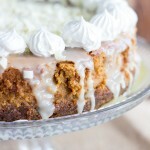 In a large bowl, whisk together flour, baking powder, baking soda, salt, cinnamon, pumpkin pie spice, ginger, and clove. Add butter, milk, and pumpkin puree, mixing until just combined. Spoon batter into prepared muffin tin, filling each cup about 1/2 full. Using a teaspoon or small cookie scoop, scoop about 1 rounded teaspoon of Nutella into the center of each muffin cup. It's okay if the Nutella touches the edges of the muffin tin. It will likely run a bit from the center of the cup, but it will bake solidly. Top the Nutella with the remaining batter. Each muffin cup will be about 3/4-full.Again, it's fine if Nutella is exposed and not completely covered. Using a small knife or toothpick, lightly swirl the Nutella and the batter. It will be a little difficult because the muffin batter is so thick, but just be patient. Bake at 350 degrees for 12-15 minutes, or until edges just start to turn golden brown, and a toothpick inserted near the center comes out clean. Remove the pan to a wire rack to cool. Allow the muffins to cool for 10-15 minutes. If you try to remove them from the pan before they've cooled enough, they can come apart a little from the swirls of Nutella still being melty. Cool them to 'warm'. 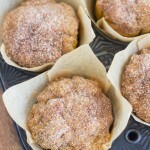 Dip tops of muffins into melted butter, then dip into cinnamon-sugar. Heavily adapted from A Kitchen Addiction. I just made more yesterday – they are addictive! YUM! 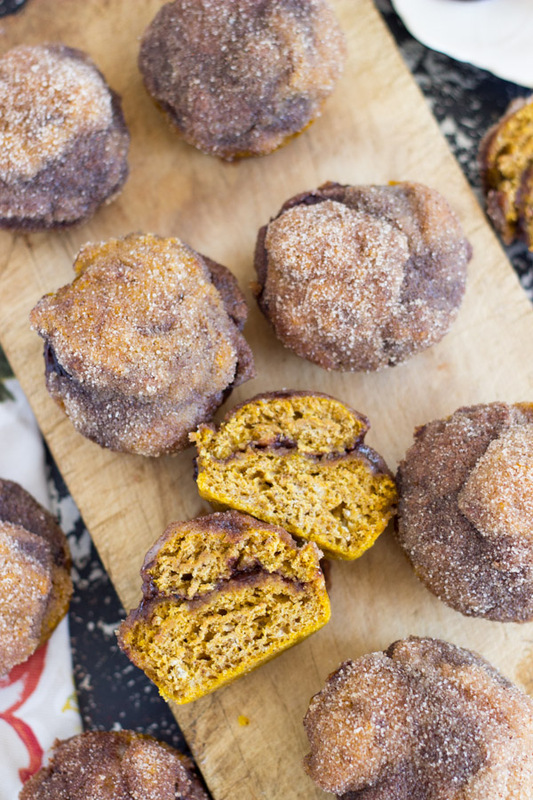 This is my kind of baked good — less than 30 minutes, and the combo of pumpkin and Nutella? To die for! 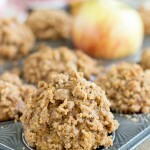 I made another batch yesterday – they’re addictive!! 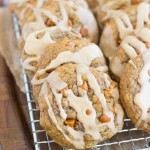 You had me at snickerdoodle – my absolute favorite cookie!! Thanks for sharing on the What’s for Dinner link up and don’t forget to leave a comment at the party – Next week’s features that also leave a comment get pinned, yummed and tweeted! Oh these look so good! Thanks for sharing with us at Throwback Thursday. Pinned and shared!